I believe that network marketing is a good industry, but there are definitely some things that people say and do that give our industry a bad reputation. Today, I want to cover what I believe are the five biggest lies in network marketing. I also want to share my take on each lie and give you some insights on what you can do to avoid these common lies. Let’s get started. If you’re saying this to your prospects, please stop it immediately. Building a successful business of any kind is hard work. I’ll admit that MLM is simple, but it’s far from easy. If it was easy, everyone would be a top earner in their company, everyone would be making money, and everyone would build their business with ease. You know as well as I do that those things don’t happen. Let your prospect know that it will be tough. Let them know that this will be the hardest thing they ever do, but the rewards will be worth it if they stick around. Tell them they will get rejected, ridiculed and maybe even laughed at. Tell them they will struggle for a period of time until they develop the right skill-set and mind-set. Let them know that they have to sort and sift through a lot of dirt and rocks until they find their gold. While you might lose some prospects upfront for telling them the truth, you will also win the respect and trust of many other prospects. Remind your prospects that building a successful and profitable business of any type is difficult. You should also let them know that this is a five to ten year plan if they are working their business part-time, not a 90 day plan to get rich quick. Yeah, about 1 in every 10,000 people who join our industry make big money fast, but you know as well as I do that most people don’t. And most people who do make money fast already have a lot of experience in the industry. Normally, they just bring their downline from their old company to their new company. The bottom line is that there is always a story behind the story, and you seldom hear about it. Teach people the concept of doubling a penny every day for 30 days. Explain to your prospect that MOST businesses take a year or two just to get profitable. Let them know that in the beginning of the business they will get paid very little for each hour of time invested, but if they stick with it and develop the right skills, they can eventually get paid much more than they actually work. Review the earnings disclaimer for your company and show them the average time it takes to achieve each rank in the compensation plan. It would also be in your best interest to teach your team members to be customer oriented first, until they have at least 10-20 customers. That way they can have an immediate profit in their business. Have them do this before they try to sponsor people as distributors. I tell people that network marketing is a get rich fast industry IF your definition of fast is five to ten years. Sure, you are passionate about your company’s product line. I get it. That’s a good thing. But if the products sold themselves the company wouldn’t need the distributors! Instead, the products would be sold through a different distribution model. Let the prospect know your products are good, but tell them there are many great products in the marketplace. Let them know that they will need to educate themselves about the features and benefits of the products so they can educate their customers and make more sales. Let them know that marketing the products is their REAL business. I hear this one all the time and just laugh. The bottom line is that most companies have a decent compensation plan if you do the work. Some are better than others. You definitely want to study the compensation plan to see how many distributors and how much volume you need to reach your financial goals. Remind your prospect that if they do nothing, they will earn nothing. And if they do the work and get lots of customers and distributors who purchase the products each month, they will earn a nice commission check each month. Explain how the compensation plan works, but make sure they understand that they only get paid to create volume by building a team of distributors and customers (they don’t get paid for recruiting). Explain to your team members HOW the compensation plan works and what they need to do to make money. Show they how to leverage the compensation plan to maximize their profits. While working with your warm market is a great way to get started in our industry, most people do not have enough credibility, or a big enough sphere of influence to build a large team with just their warm market. Remind your prospect that you will help them get started with their warm market, but at some point in time (probably by their second or third month in the business) they will have to learn additional ways to market their products and business. Educate them that most businesses need leads and that they might have to spend some time and money generating these leads (just like regular businesses do). You should also teach your team members about the importance of working in depth and helping their new team members get started. In summary, these are the five biggest lies in MLM as I see it. If you are a distributor, make it a point to be a network marketing professional at all times. Don’t tell your prospect what you think they want to hear. Instead, tell them the truth. You will be much better off in the long run. What are your thoughts? What do you think are the five biggest lies in MLM? Just leave a comment and let us know what you think. I look forward to hearing from you. I’ve probably said it a thousand times, but I absolutely hate the “You can make big money fast” line. In MLM, in any business, time, patience, commitment and hard work will get you results. Yet, its a common lie that is used and so many people fall victim to it. Also, I agree with the not just approaching people you know. And that is a big step for me. because I tend to stick within my comfort zone, but getting out and meeting and talking to new people is the best way to branch out in your business. No legitimate business is fast or easy money. It takes years to build a successful business, normally decades. I just have to giggle about the products selling themselves, even though I have caught myself using this line. (I have to quit that). If products sold themselves, there would be no sense advertising, or even paying distributors. I like what Faye said about the products packaging themselves too. Maybe they will deliver themselves too. As for just contacting people you know, if you want to become the family and friend spammer, just live by that principal. You have to get out in the trenches and talk with people you do not know. It is the only way to have a successful network marketing business. I agree. Very few things sell themselves. Maybe food, beer and toilet paper, but that’s about it. It is truly fortunate that the number one comment is heard so often. 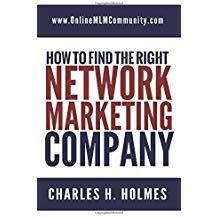 If network marketing were so easy that anyone could do it, then why aren’t they? And why are there so many failures? No one should be falling for that first line. As far as the products selling themselves: nope. (What else are they going to do – package themselves, too?) What that distributor is failing to explain is that you are really selling yourself in MLM. If the products are great, you can lead with them, but ultimately, if you don’t put yourself out there and be a person that people want to do business with, you will fail. Good list. Truth is, NO business is easy or quick money. I’ve never found one.